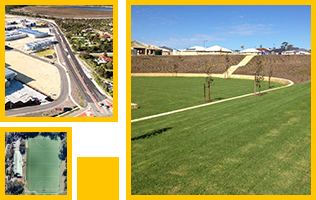 Porter Consulting Engineers has been engaged by LandCorp to oversee the construction of the North-South link road in the Kwinana Industrial Area. The extension of Donaldson Road will provide a long awaited linkage of the northern and southern ends by connecting Mason Road and Leath Road. The project is a joint collaboration between LandCorp, Sims Metal and the City of Kwinana and has the full support of the Kwinana Industries Council.